The Vodacom Blue Bulls Under-19 team will face the Xerox Golden Lions Under-19 team in a highly anticipated clash of the log leaders in Johannesburg on Saturday. Both teams are undefeated following two strong performances in the opening weekends of the SA Rugby Provincial Under-19 Championship. 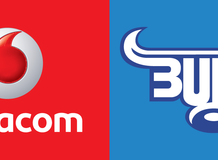 The Vodacom Blue Bulls side won their opening match against DHL Western Province 31-27 in Cape Town and then outplayed the Toyota Free State 49-12 in Pretoria. The home side won against Eastern Province and the Leopards. Andrew Kota, Sebastiaan Jobb, Marnus Potgieter, Jay Cee Nel, Rune Lucas, Vaughen Isaacs, Lian du Toit, Orateng Koikanyang, Jaco Labuschagne, Philip Potgieter, Janko Swanepoel, Louis Meiring, James Combrinck, Joe van Zyl (Capt), Kudzwai Dube. Llewelyn Classen, Wiehan Bezuidenhout, Xavier Haupt, Carl Els, Romeo Eksteen, Ruben Beytell, Gerswin Mouton, Keanu Prinsloo. Van Zyl lead Vodacom Blue Bulls Under-19 in season opener.